"We speak MVA's language so you don't have to"
We are your MVA /DMV experts. We'll take a long and often complicated task and save you a lot of time and hassle by doing it for you. 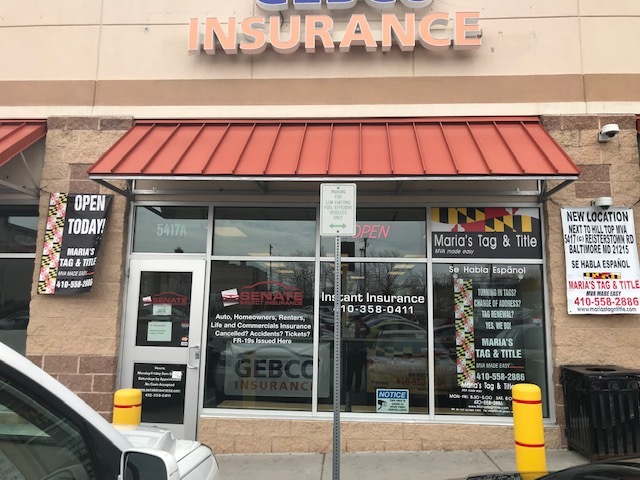 We have three convenient locations now in the Baltimore area. Or call us at 410 558 2886 to arrange a classroom course. We do tags for Maryland, Pennsylvania and the District of Columbia (D.C)! We specialize in being the expert outsource for our corporate clients - financial institutions, insurance companies, manufacturers, and dealers who need fast, reliable and exact work to change over titles, issue registrations and handle multiple client transactions utilizing state of the art technology. We have the capacity to handle hundreds of deals per client per month through our Maria's Process Priority Program. Call us today and ask for cost effective solutions to your company's needs. It's that Easy!